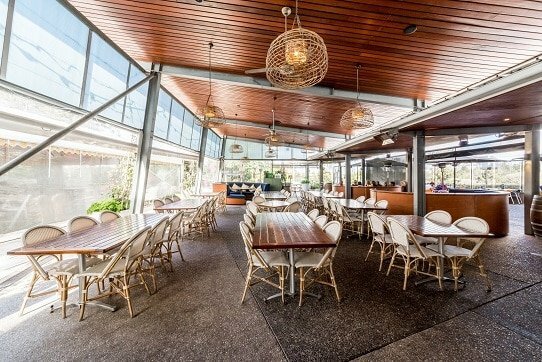 Victoria Park Bistro is a premium food and dining option that forms part of the Victoria Park Golf Complex. 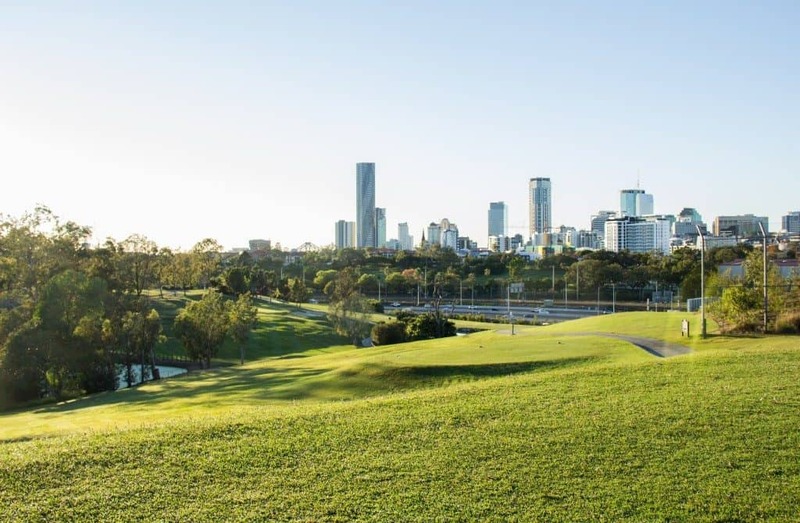 Perched atop the golf course you’re afforded breathtaking views of the Brisbane CBD skyline from the comfort of sprawling decking or interior seating options. April 2016 saw an evolution for Victoria Park as it moved towards being an experience rather than just a golf course – nowhere is this more obvious than inside this beautiful venue! The use of space matches the surrounds with big gaps between tables and easy access to water and bathrooms making this a perfect family dining experience. The menu at Victoria Park is expansive and caters for any time of day! Breakfast is served from 7.00, lunch from 11.30 and dinner from 5pm. There are some innovative and creative options to choose from as well as all your old favourites. We arrived after a round of putt putt at about 10.30, nearing the end of breakfast service. You would have thought, however, that all of the staff had just arrived – their faces were fresh and happy, their manners cheerful and, the real test, they were all incredibly friendly to our son. We were offered drinks immediately upon seating, making us feel acknowledged and valued, and our waitress double-checked the drink size for our son without assuming. Service felt very professional yet relaxed – the perfect blend in a family environment. The waiter who took our lunch order knew what he was doing, managed to joke and have a bit of fun while being very busy and ensured we were taken care of promptly – without even knowing I was there to review! Definitely a sign of great staff and management! I tried my luck with the cured trout with hash, apple and fennel remoulade (I felt a bit fancy! ), husband had Mt Cotton mushrooms with corn and zucchini cauliflower and Threenager was in heaven with his Dutch pancakes with icecream, maple syrup and berries. 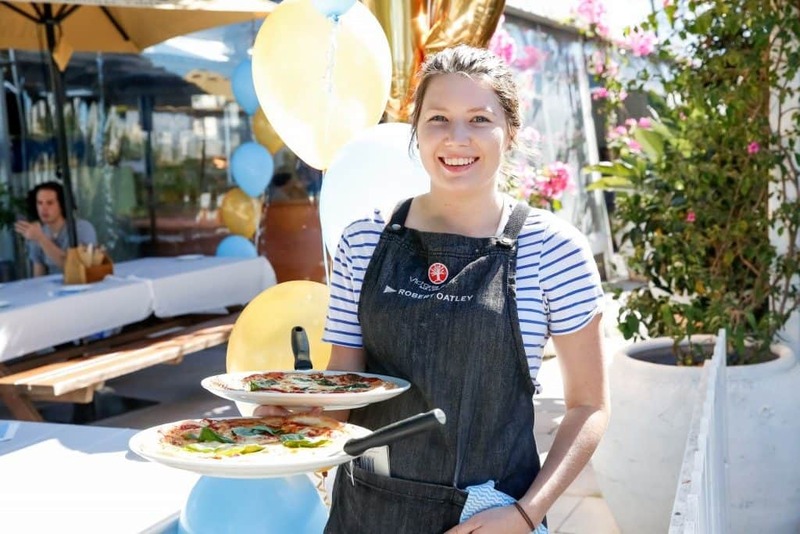 The food was fresh, creative and – most importantly when you’re dining with kids – delivered promptly. Drinks were generously sized and similarly delicious. This is quite a fancy venue but not so much that kids feel out of place. While there’s not a dedicated play area within the bistro there is a wonderful playground not ten metres away. If you were so inclined you could eat your meal on the decking at the back, which is also serviced by market carts, so you could watch your children play. The gorgeous setting, wonderful service and general feeling of relaxed enjoyment make this a wonderful atmosphere for families. 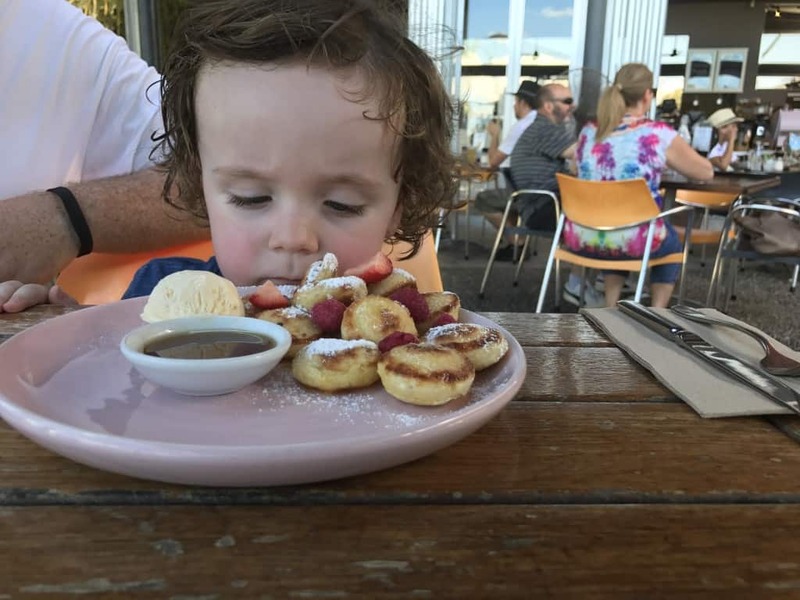 There is plenty of room around your table for prams and high chairs, or even for kids to sit on the ground to play and talk, and at no point did we feel rushed or in the way. Nothing here was too much trouble. We played putt putt, enjoyed the playground and then had a wholesome, delicious lunch served to us by people who like their jobs and are good at them. Read about kids putt putt here. If you’re looking for the baby change table it’s an old-fashioned pull-down inside the disabled toilet rather than a modern parents room.